In short, Poker Tracker has revolutionized the study habits of serious poker players. However, new users are often overwhelmed by the software's complexity and rarely use it to its full capacity. One day we discussed the benefits of writing a book to explain how to get the most out of Poker Tracker and made posts on our Web sites gauging whether or not players would be interested in such a book. Within a week we had dozens of requests for a Poker Tracker user guide, and we realized this was something that appealed strongly to serious poker players. The result is our Poker Tracker Guide. In our first section, "Reviewing Your Play," we explain how to improve your play simply by examining the contents of your Poker Tracker database. Not only does Poker Tracker record every single thing we do it at the poker table, it also collects this data and organizes it in ways that allow us to find systematic errors ("leaks") in our game. For example, in our "Leak Finding" chapter, we discuss why cold calling raises can be one of the biggest mistakes made in limit poker. In addition, we explain how you can pinpoint every instance in which you cold-called a raise and see the results of your decision-making. For many players, this can be a truly enlightening process. Our Poker Tracker Guide discusses other key concepts for analyzing and improving your game. Are you taking full advantage of your position at the table? Do you need to improve your play from the blinds? 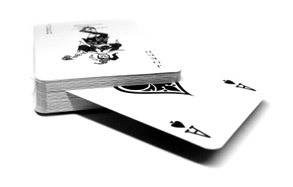 Are certain hands - suited aces, big pairs, unsuited Broadway cards - draining your win rate? The first part of our Poker Tracker Guide shows you how to find out. In the second section of the guide, "Player Tracking," we teach you how to gain an informational advantage over your online opponents. In addition to storing information about your play, Poker Tracker also tracks the playing tendencies and results of other players at your table. We teach you how to collect the data, how to generate player profiles based on the data, and how you can import that data so that it's available as soon you sit down at a table. Is the guy on your left a maniac who raises 90% of the time he's in a pot? Are there enough calling stations at the table who will see the turn if you bet your flopped full house? Did half-a-dozen solid players just take over your once fishy table? Once you have this information readily available, you make better - and more profitable - decisions. As we discuss in the introduction of the book, players who take full advantage of powerful tools such as Poker Tracker improve their game much more rapidly than those who don't. The goal of our guide is to put you on an education fast track, ensuring that you take full advantage of one of Internet poker's most valuable resources.